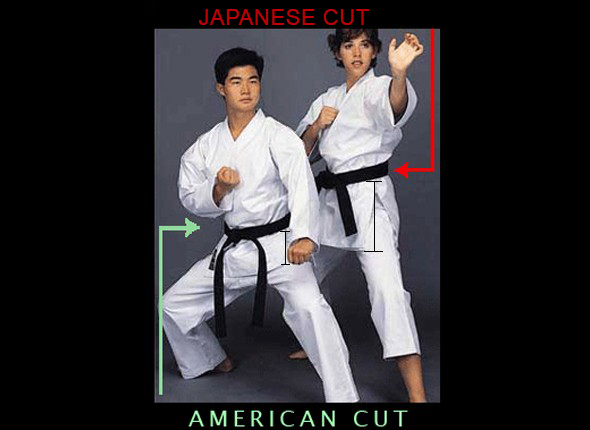 DIFFERENCE BETWEEN JAPANESE CUT AND AMERICAN CUT. The Japanese cut will have 3/4 length sleeves and pants with a longer jacket skirt. The American cut will be a full length cut with a shorter jacket skirt.